A founding member of Tully Law Office, P.C., the successor firm to Tully & Burns, Andrew W. Tully brings 40+ years of experience as a trial attorney to each case. 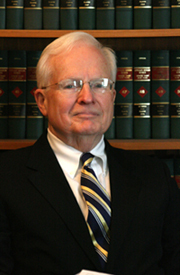 Having dedicated his practice, for nearly four decades, to the representation of people injured in construction accidents and other negligently-caused incidents, he has written and lectured on the topics of New York State Labor Law, construction site safety and other topics in the field of torts and personal injury. A graduate of Fordham Law School, he has been admitted to practice before the Supreme Court of the United States, the United States District Courts for the Southern and Eastern Districts of New York, and the Courts of New York State. Andrew W. Tully has been the General Counsel to the Yorktown Heights Fire District since 1991, and served as the Yorktown Town Justice for fourteen years from 1976-1990. He currently authors a column entitled “The Law and You” in the El Aguila newspaper. He is a member of the New York State Trial Lawyers Association, the New York State Bar Association, the Westchester County Bar Association, and the Yorktown Bar Association. 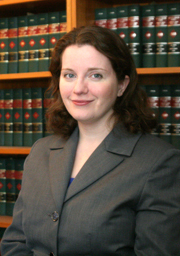 A graduate of St. John’s University School of Law, Tara A. Tully was admitted to practice in the State of New York in 2005. Since joining Tully Law Office, P.C., she has handled complex issues of tort and procedural law through her motion and appellate practice, and has worked extensively on pre-trial discovery practice and trial preparation. She is a member of the American Bar Association, the New York State Bar Association, the New York County Lawyers Association, the Westchester County Bar Association, and the Yorktown Bar Association.